In Saigon during the waning days of the Vietnam War, a small-time journalist named John Converse thinks he'll find action - and profit - by getting involved in a big-time drug deal. But back in the States, things go horribly wrong for him. Dog Soldiers perfectly captures the underground mood of America in the 1970s, when amateur drug dealers and hippies encountered profiteering cops and professional killers - and the price of survival was dangerously high. 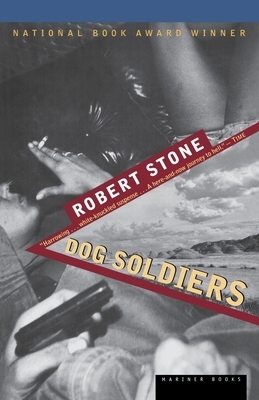 ROBERT STONE (1937-2015) was the acclaimed author of eight novels and two story collections, including Dog Soldiers, winner of the National Book Award, and Bear and His Daughter, a finalist for the Pulitzer Prize. His memoir, Prime Green, was published in 2007.